Next to chicken wings, ribs are one of my favourite things to eat. Unfortunately I rarely made them because they took forever to cook in a slow cooker, and cooking on the BBQ from start to finish would waste so much propane. Have I told you how much I love my Instant Pot? I probably sound like a broken record at this point, but I honestly love it that much. Anyone who will give me the time of day I tell them how much they need an Instant Pot in their life. Well, I am back with another amazing Instant Pot recipe. It is so amazing and easy that you will be putting ribs on your meal plan more often than before! I have a freezer full of meat. All different cuts of beef, pork, chicken, and even turkey. I decided back in February that I would place a large meat order to last us the whole year. In February, the first half of our order arrived, and it filled both my large deep freezer and my fridge freezer. We are now in August and we are still working off the first half of our order. My two 8 quart Instant Pots have been pulling double duty cooking us delicious, mouth-watering meals! If you are like me and love ribs, but hate the amount of time it takes to cook them to perfection, my fall off the bone Instant Pot BBQ ribs recipe is for you. Following my recipe you have finger-licking ribs in a fraction of the time a slow cooker or BBQ would take to make them. Cut your full rack of ribs in half and remove the membrane from the back of the ribs where the bones are. In your Instant Pot pour in your apple juice and lemon juice or apple cider vinegar. I used lemon juice as I didn’t have apple cider vinegar and it is a substitute for it. Place your Instant Pot trivet inside your pot and then place your 2-3 half racks of ribs on the trivet. Using the manual function set the time to 30 minutes. IF your meat on your ribs are not as thick as mine, set the time for 25 minutes. When the time is up, let the pressure naturally release for 5 minutes. Then quick release the remaining pressure. While the pressure is releasing put your oven on 500, or pre-heat your BBQ. Carefully remove your ribs onto a tray. Generously coat all sides of your ribs with your preferred BBQ sauce. 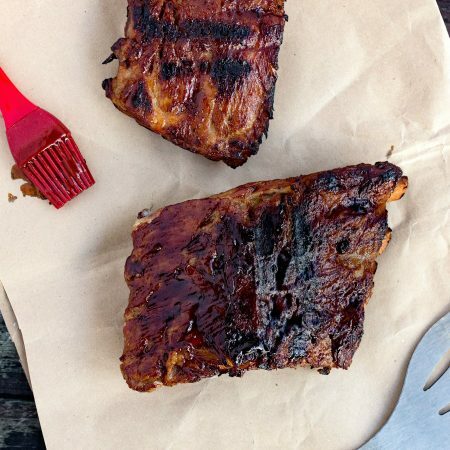 Using an oven, place your ribs on a baking sheet and cook until the BBQ sauce has caramelized, about 5 to 10 minutes. This recipe was made using the 8 Quart Instant Pot but can be done in the 6 quart Instant Pot as well. Also ensure when you are pressure cooking, that your valve is set to sealing not venting or it will not come to pressure. Will you try my Fall Off The Bone Instant Pot BBQ Ribs? If you do, please come back and let everyone know what you thought in the comment section below! Don’t forget to check out my other delicious and easy Instant Pot recipes! OMG yes I sure am! I was on the fence with buying an insert vs a full system and when the Prime Day sale came on I snagged a full system for $20 more than another insert would have cost me. Is it crazy I want a third? I heard some people have 4 of them! Instant Pot recipes are such a savior. Love how easy they make life. I am not sure what would I have done without an Insta Pot. Those ribs look finger licking good…and the recipe looks easy enough even for a beginner. These definitely are easy enough for a beginner!! Cooked these tonight – first meal in my Instant Pot! 😀 they were so tender they were pretty much boneless… delicious! 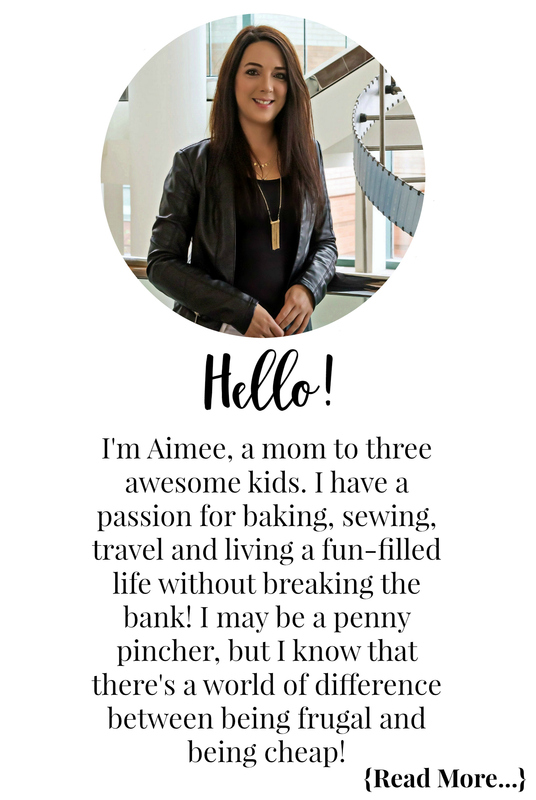 Thank you, Aimee, for the recipe! Oh yum these sound absolutely delicious I would never have thought of making ribs in an instant pot, I need to give this a try ASAP. Those do look yummy! My hubby loves pork ribs. My mouth is watering. I absolutely love bbq ribs and they are the best when the meat is tender and falling off the bone!! I totally need to try this, when we make ribs now it takes all day in the crock pot! oh my i love ribs! you made my taste buds do a dance the instant I saw it! i will def be doing some bbq ribs this month will have to plan! You got my mouth watering and me craving some ribs! Those look delicious. I am gonna have to get me an Instant pot so I can try some of these great looking recipes!! 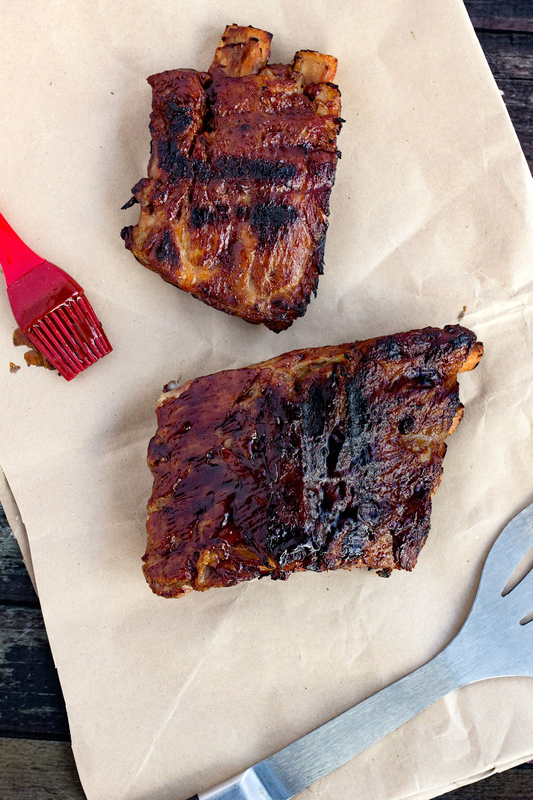 Your BBQ ribs recipe sounds absolutely amazing! I love how easy it is to make too! This is one quite simple and easy to follow recipe. How I wish to eat something like this literally right now. Thanks for the guide. We enjoy ribs,will have to try your interesting recipe ! Oh wow dont those ribs look so good. Im usually uneasy about making ribs because they dont always comee out tender, but will definitely be trying your recipe. Thanks so much! Now I need an Instant Pot! Lol! These look incredible! I have an instant pot but haven’t used it yet. I will have to pull it out and give this simple recipe a try. My family enjoys ribs and I am going to try this recipe! I’ve never made ribs in my Instant Pot as of yet. I love that this recipe uses apple juice for flavour. Love, love, loved this recipe.. So so simple, but SO SO YUMMY!!! !